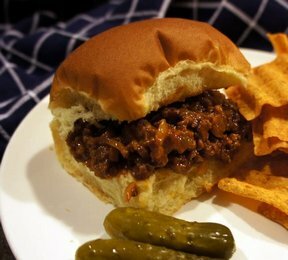 Sweetened with a little brown sugar, these sloppy joes are perfect. They can be whipped up in under 30 minutes or simmered in a slow cooker all day long. Light and fluffy dumplings that warm you up inside. This creamy soup will be loved by all. 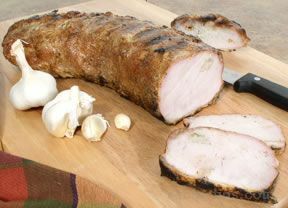 Rich in garlic flavor, this loin of pork provides a mild southern flavor for an enjoyable grilled meal. 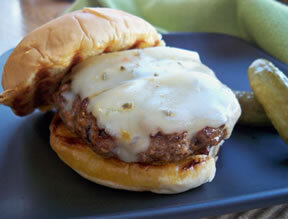 This is a quick easy burger for those who have kids and want something satisfying. 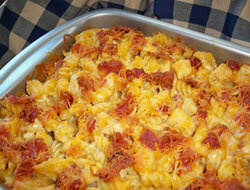 A creamy chicken and pasta hot dish with a boost of flavor from the addition of crispy fried bacon. 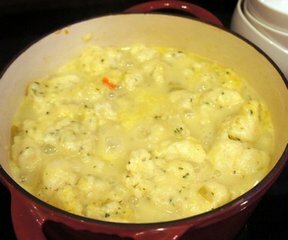 Baked in a creamy sauce, this hot dish is sure to be a family favorite. 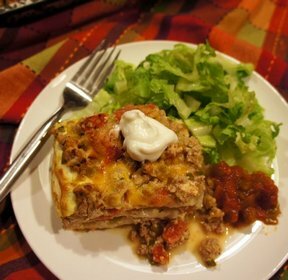 A layered casserole similar to lasagna but instead of pasta it layers with tortillas. Throw a fiesta tonight with this simple and tasty casserole. Serve with shredded lettuce, sour cream and salsa. A perfect recipe for cooking round steak. 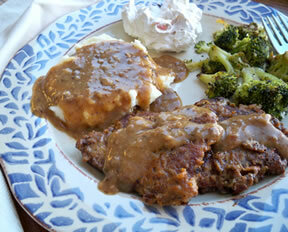 This less expensive cut of meat can be made into a tasty meal that your family will request time after time.